In the last Indie Series Network and Serial Scoop "Web Series of the Week" (#WSOTW) poll, Family Problems was voted favorite indie series for the week. It's now time to catch up on latest episodes and vote for your favorite series in this week's poll. You can also cast a vote for your favorite actor, actress and web series couple/duo. Voting ends Wednesday, December 9 at 4 p.m. ET (one vote per person per day). Web series that aired one or more new episodes from November 28-December 4, 2015 are eligible. If a web series aired this week and is not on the list, cast your vote as "Other" and write in the name of the show. - AFK Episode 6 "INC MOB"
- Classic Alice Episodes 105 "Love and Friendship" & 106 "Confessional: Lily & Alice"
- End of Term Episodes 8 "Georgia" & 9 "Do or Die"
- Family Problems Episodes 61 "Backstab"
- How I Seize It Episode 194 "Flag Controversy"
- I Gotta Be Me Episode 3 "Bums on Seats"
- In Retrospect Episode 8 "The Girl"
- Jill & Jack Episode 20 "Hanukkah Songs"
- LARPs Season 2 Episode 8 "Post-Mortem"
- Match Not Found Episode 9 "The Pros And Pros Of Being Single." - My Two Roommates Episode 5 "Sidney's Poker Dilema"
- The Realm Path 12 "12 MS-408 Part 1"
- Sensitive Episode 7 "Kick Ball Change"
- Sessions Season 2 Episode 9 "Stand up for yourself, Frank"
- Triangle Season 2 Episode 8 "Thank You But No Thank You"
The purpose of our weekly poll is to help spread the word about new web series episodes that have been released, and to provide an outlet for potential viewers to find them in one easy location (actually, two easy locations!). We encourage creators to check out the other shows and to support each others' promotional efforts when possible. In many cases, the writer/producer/multi-hyphenate showrunner is also the PR rep, so every like, retweet and encouraging word helps. 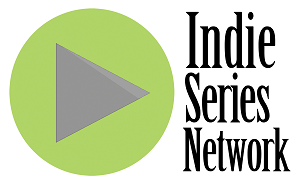 The indie web series community has always been a wonderfully supportive environment, and an inspiration for us at the Indie Series Network, as well as Serial Scoop. Through the ISAs, and our website and social media, and other events, we are proud to support the work of talented creators in this community. The regular entry period ended on November 30, 2015. Submissions will be accepted through December during the extended entry period. No submissions will be accepted after December 31, 2015. The 7th Annual ISAs ceremony will be held on Wednesday, April 6, 2016, at the historic El Portal Theatre in North Hollywood, with the annual nominee pre-party the night before. Jen Lilley and Emmy winner Eric Martsolf will host.